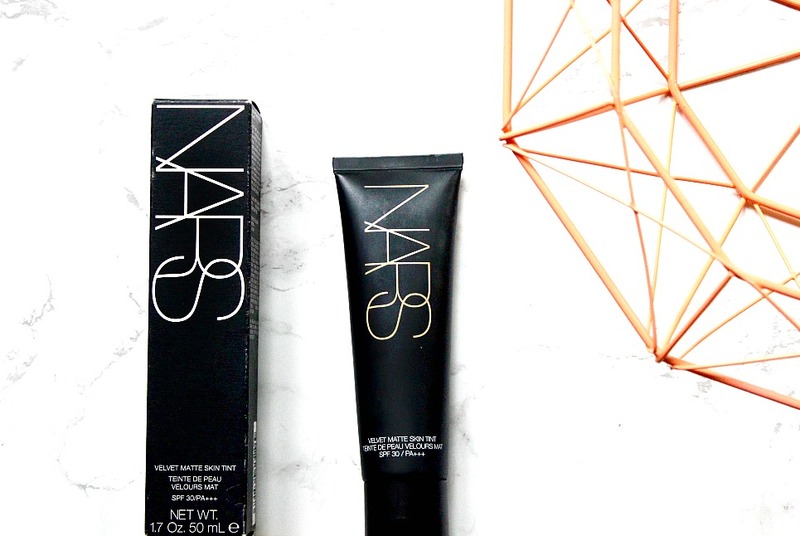 This is the sleeker, yet equally as convenient packaging to it's elder sister the NARS Tinted Moisturiser and I really like it. It doesn't take up much room, its lightweight and non-messy too! Another reason why the packaging is so long is because you get a huge 50ml amount of product for the £30, which is pretty awesome value for money. It is almost as affordable as a highstreet base if you think about it and it certainly is the best price I've paid for a 50ml high end base. The formula is akin to a foundation rather than a tint, so I don't find it great to use my fingers. It does blend into the skin evenly though, using either a damp beauty blender or a buffing brush. Like I said I'm not really used to a matte finish, so to me this definitely is MATTE, which did take some getting used to. I find that as long as I've moisturised well and used my beloved Mario Badescu Facial Spray (reviewed here), it applies and sits beautifully on the skin. However when my skin is on the drier side, or I've had to skip out on the prep it does tend to catch on the little dry patches and obviously accentuate them. Prep is key here. Coverage wise I really really like this, again its less of a tint and more of a medium coverage. It evens out the skintone and covers most of my redness around the nose. This makes it a great base to rely on for the warmer days and when the skin needs a bit of an extra help thanks to the generous coverage. This base also contains SPF 30 which makes it great for day to day wear, of course you shouldn't skip out on SPF EVER but if you live in a sunnier country this is another pro for sure. The NARS Matte Skin Tint lasts for a decent amount of time on the skin, I get to at least 8 hours before my T-zone starts getting a little oily and that is without any other prep underneath. When I use a priming water (more specifically the Freedom one here, which I have been really enjoying btw) my base does look fresher for longer. I'm not the biggest fan of using a powder over the top when oil starts to seep through though. As you can see there is quite a shade difference between the Matte tint on the left, to the tinted moisturiser on the right. So if you already own the TM and you're planning on getting this, make sure you're aware of this and go down to the next shade if need be. 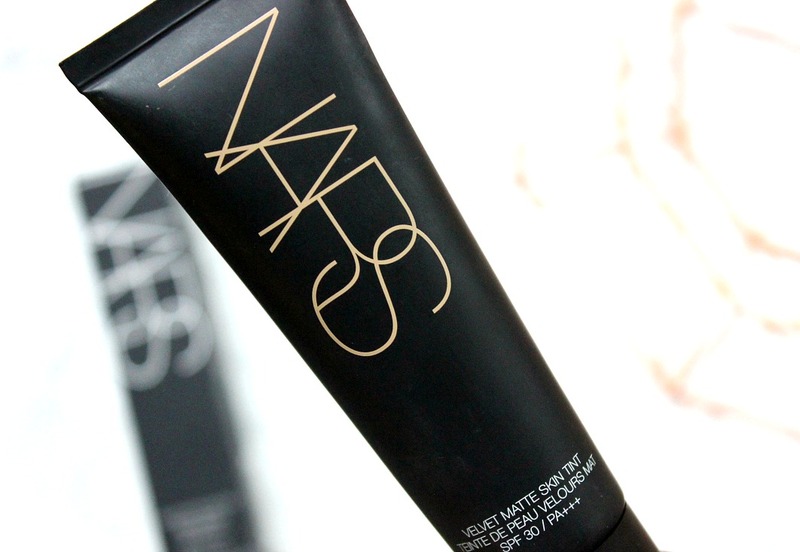 Personally the NARS tinted moisturiser for me is best in the summer time and it is a shade or two deeper than my skin-tone which I like. However it's been quite nice getting a really close shade match from NARS, which is a little less on the yellow side too. As the TM is a little deep for me anyways, the matte tint matches very well and it works. 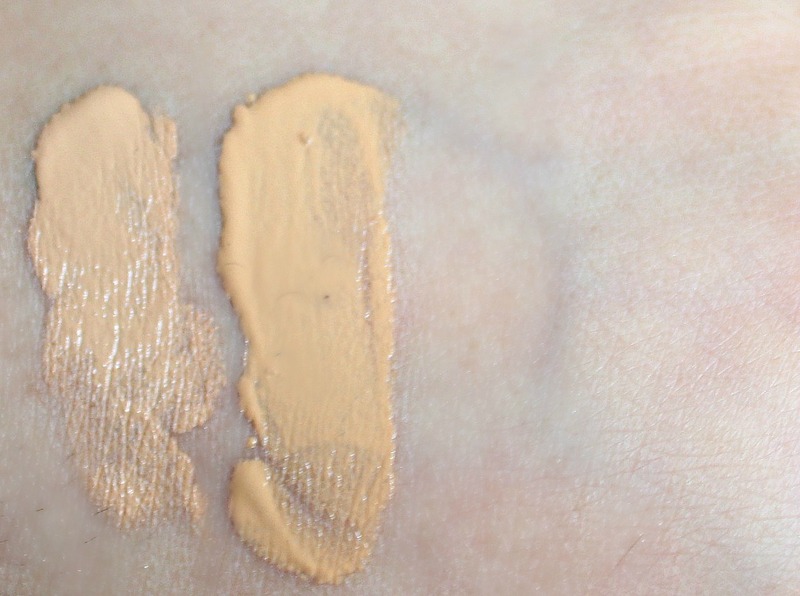 Pros: It is a comfortable 'soft' matte base to wear, and has a good shade range which doesn't exclude women of colour. I also appreciate that contains SPF 30. The longevity is good and when I've prepped my skin correctly it lasts well and remains looking fresh on the face. You get a really good amount of product for your money and its a good base for combo/normal skintypes. Cons: It does cling to dry patches and I find that it needs some extra prep to make it work really well. Overall: Like I said at the start I have really enjoyed using this skin tint, though I would describe it as more of a matte medium coverage base, which isn't too harsh for dry skins and also sits well with oily skins. Really it is the ideal matte base for normal/combo skintypes, not so matte that it'll zap out any moisture but just matte enough for me anyway. It leaves a very subtle glow A.K.A a matte not flat finish to the skin and personally its a nice enough base for now and again. However it's not a base I'd reach for on a daily basis and I don't think I'll be quick to repurchase it either, simply because I do like that satin look to the skin! I think I'll get the most use out of this in the Autumn time, when I'll have longer days at my teacher training and I'll need to rely on a base that will last well. So we shall see how I feel about it in a few months! For now I'm glad to have this in my stash, but it hasn't replaced my love for the other NARS bases. 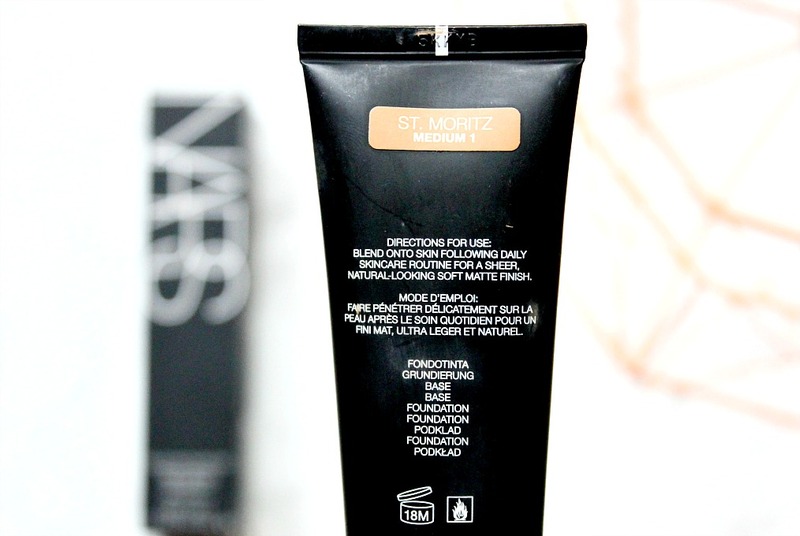 Have you tried this matte tint? What are your thoughts?